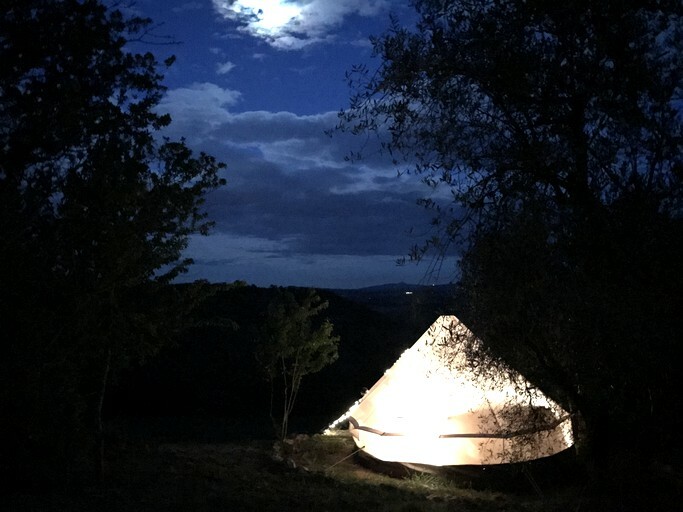 Amazing experience!! 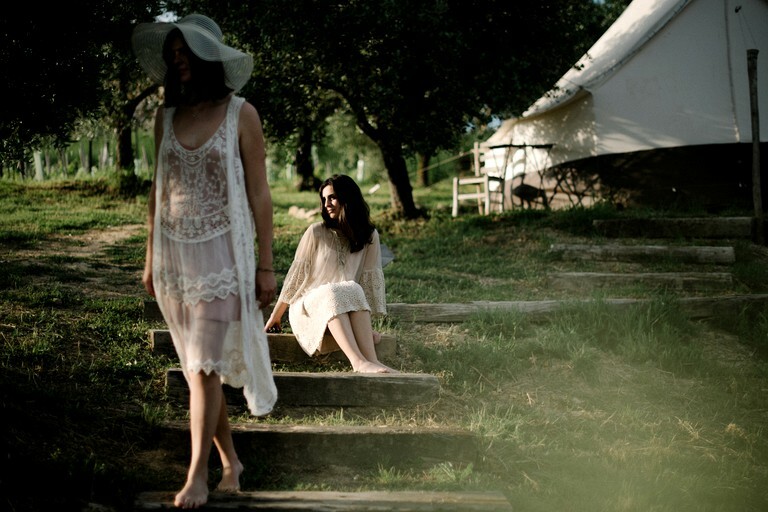 thanks a lot to our hosts an congratulations for the unique place!!! 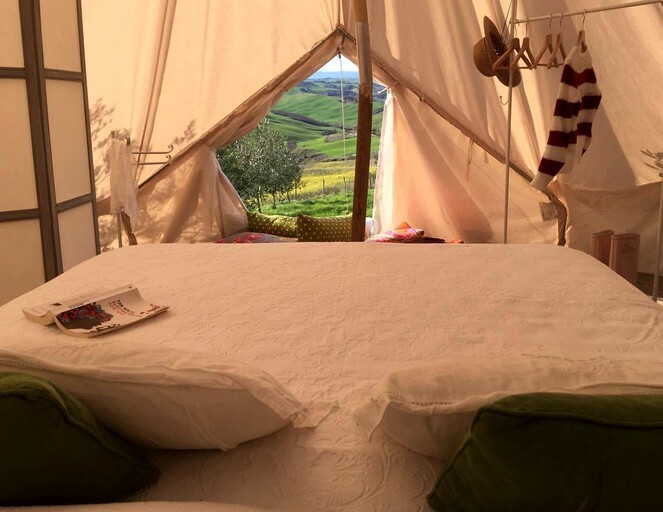 These ten luxury tent rentals available to glampers at this property are located in the Tuscan countryside near Siena, with breathtaking views of vineyards and the village of Pienza in the distance. 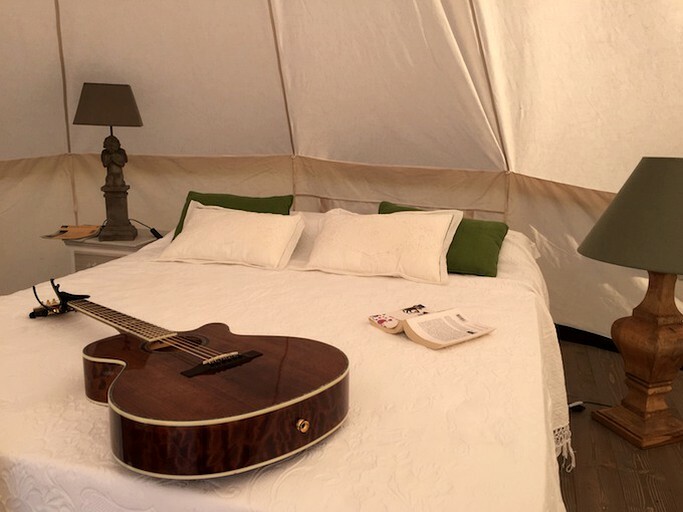 Each tent is furnished with a proper bed, air conditioning, Wi-Fi, and guests will have their own private bathrooms. 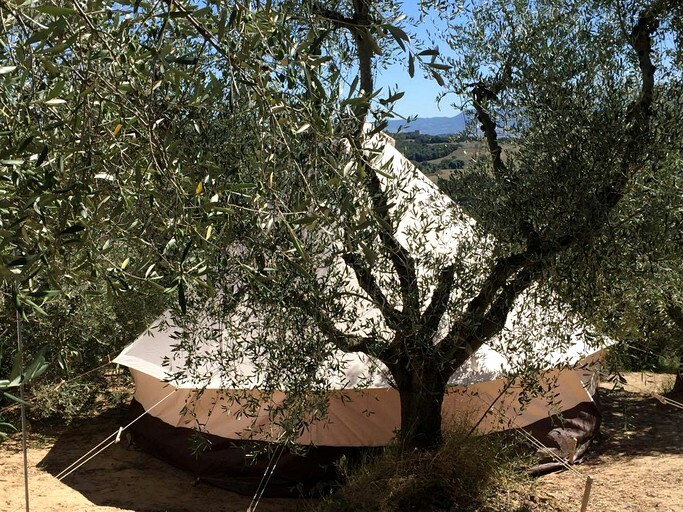 The tent rentals are set among beautiful olives and vineyards in the idyllic Tuscan countryside, allowing guests to enjoy a full immersion in nature, beauty, and silence with the comfort of staying in a Chic Tent. 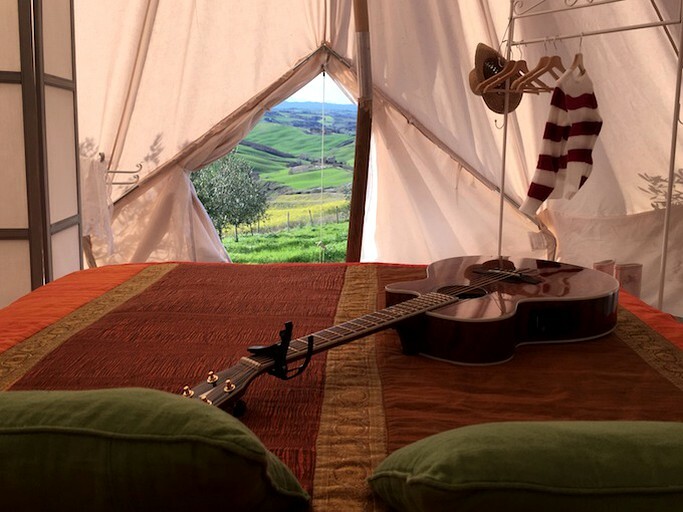 There are ten boho tents, so exclusively 20 guests maximum can stay on the site. 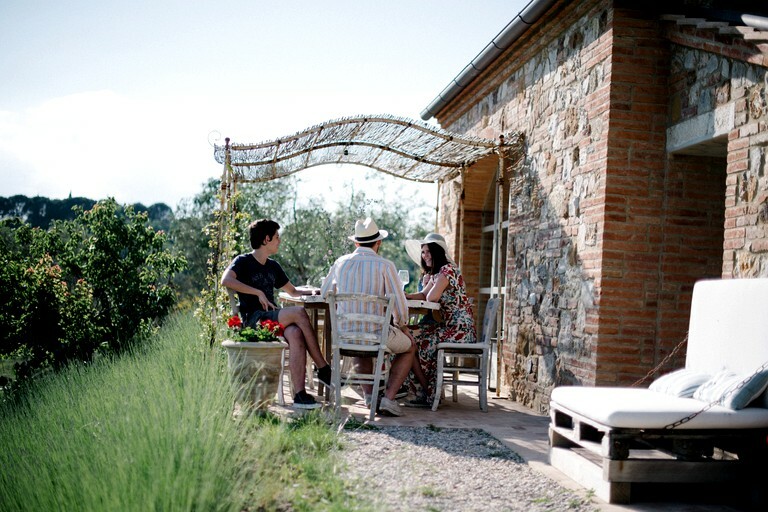 The property features a refreshing pool and an organic vegetable garden. 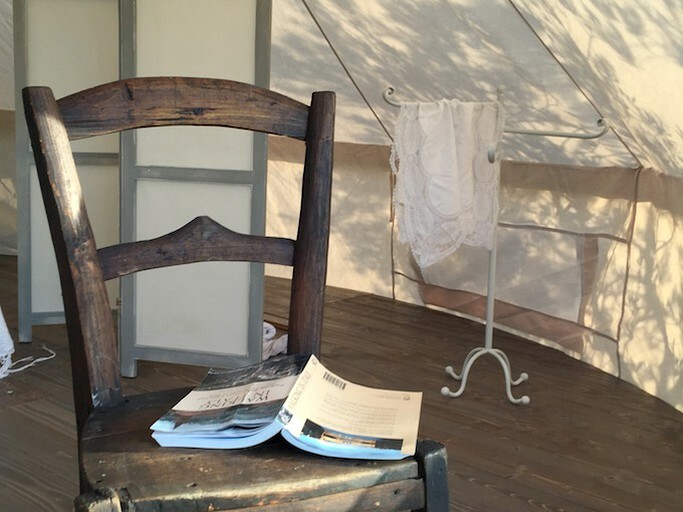 Outdoor furniture is provided and makes the perfect spot for guests to take in the exquisite views. 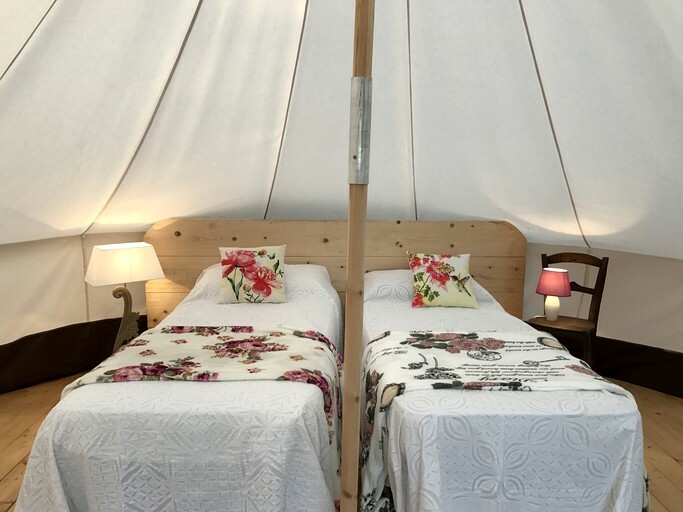 Glampers staying at these tents will also have access to a casetta which includes a shared kitchen and lounge area, and there are BBQ facilities on site. 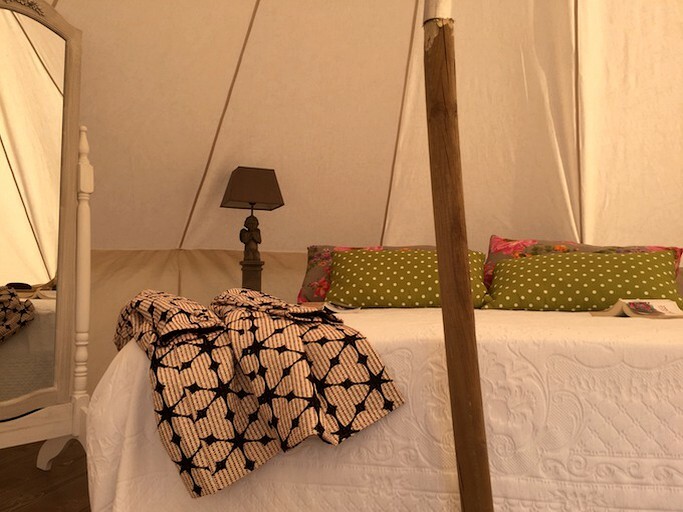 Guests will find this property equipped with everything they will need to relax in style. 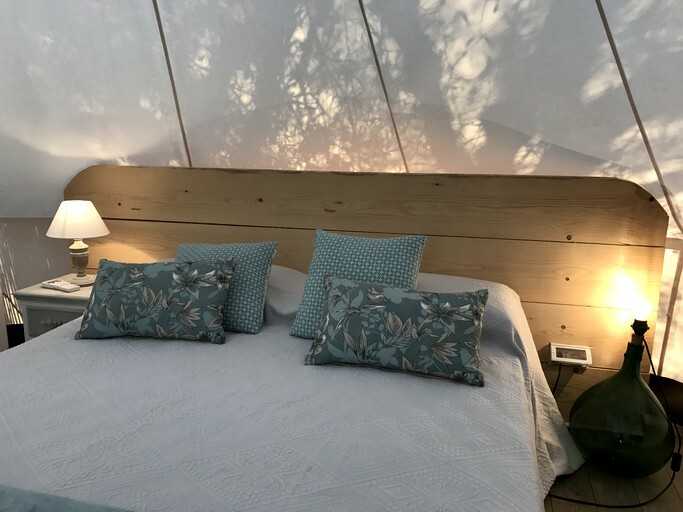 This includes luxury beds, private bathrooms, Wi-Fi, a shared kitchen overlooking the boutique vineyard with a lounge area. 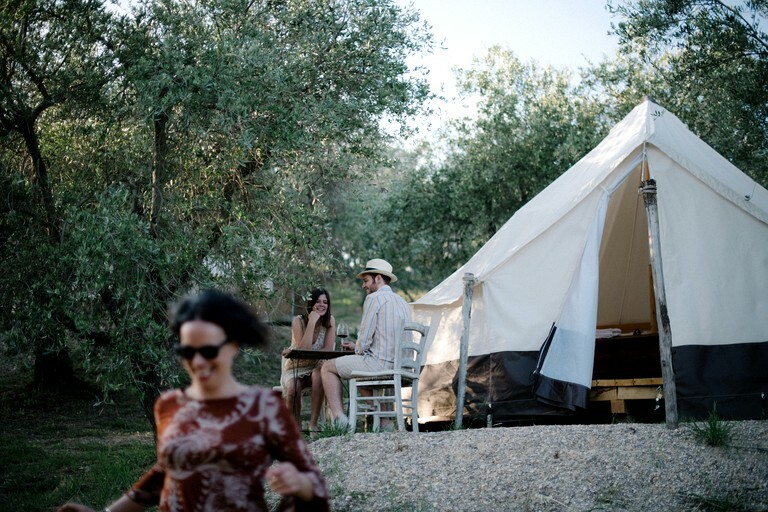 Glampers will also find barbecue facilities, a relaxing pool, and an organic vegetable garden on site. 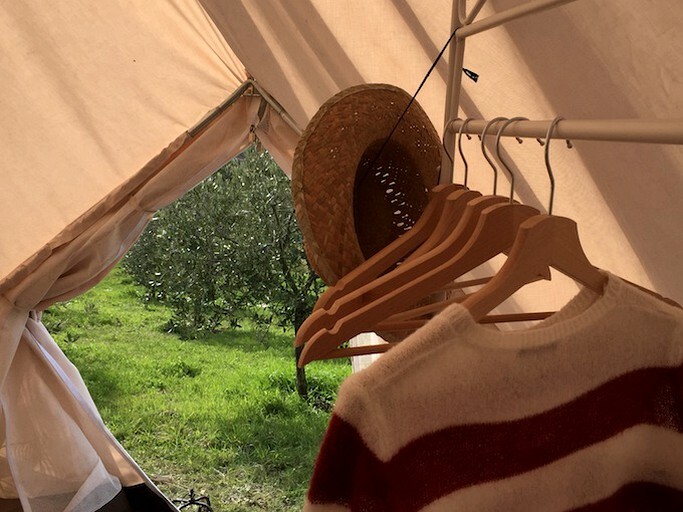 There are laundry facilities for our guests with two washing machines, an iron, and an ironing board. 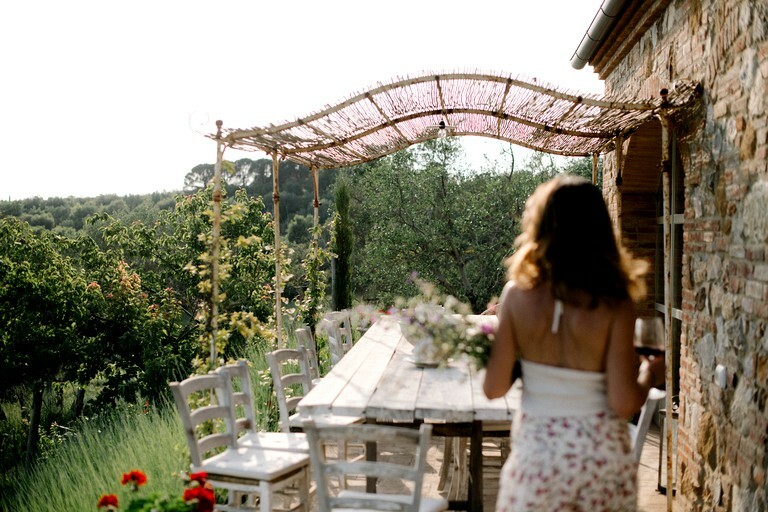 This is the perfect location to host a wedding, and the host is happy to discuss requirements. 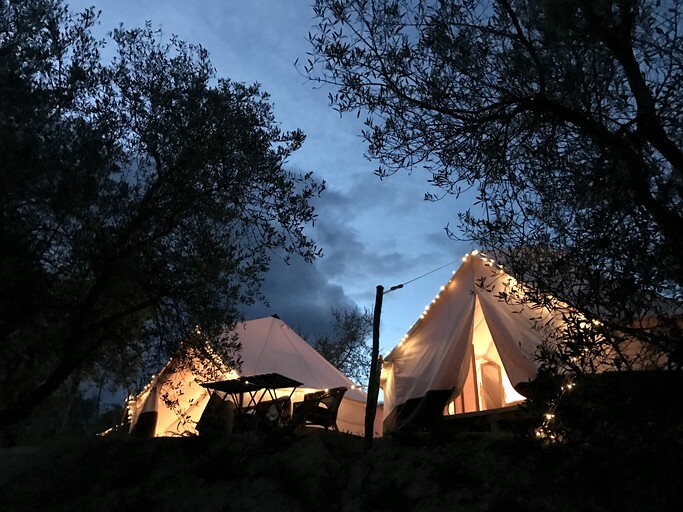 All of the ten tents dotted around under the trees are calm and simple spaces, carefully crafted to lull guests into the gentle rhythm of country life. 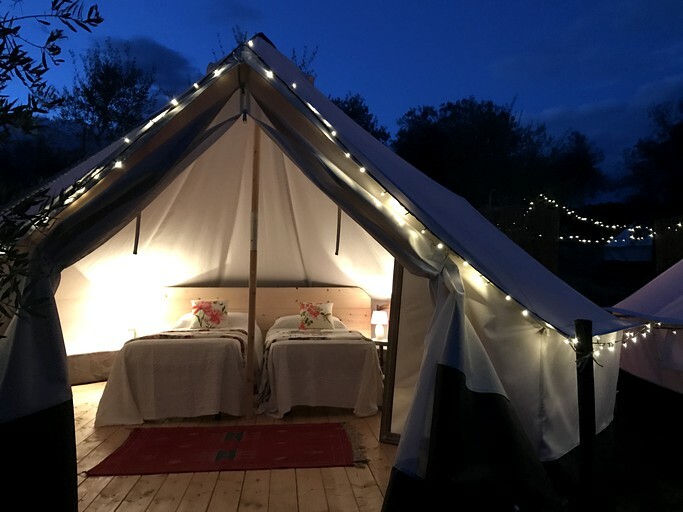 The big bed in a tent on the decking feels like an island on an island. 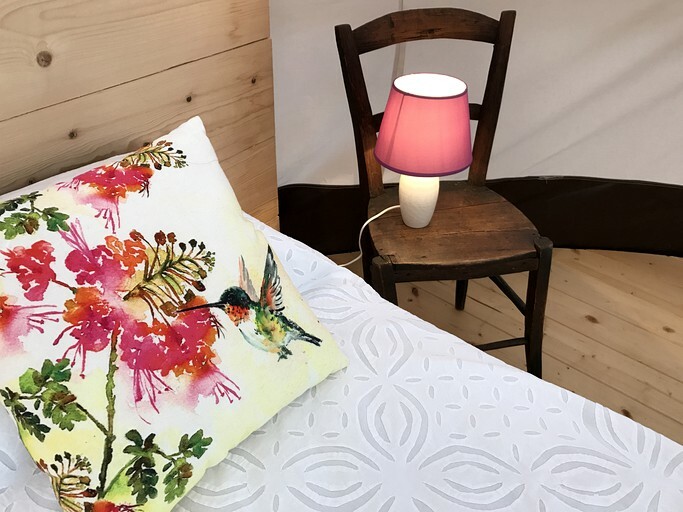 The stunning views and the lovely array of soft fabrics and furnishings will make lie-ins irresistible and remote-controlled air conditioning makes them comfortable all day and night too. 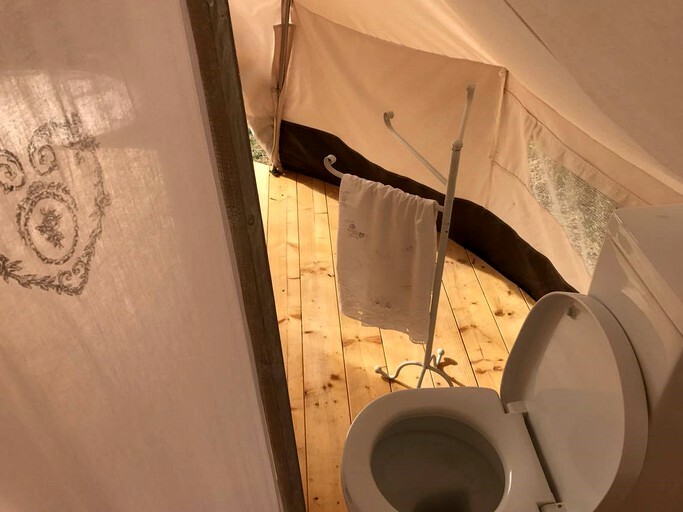 Even the call of nature doesn’t mean having to go outside, as each tent has a discretely placed flushing loo in a screened section inside. 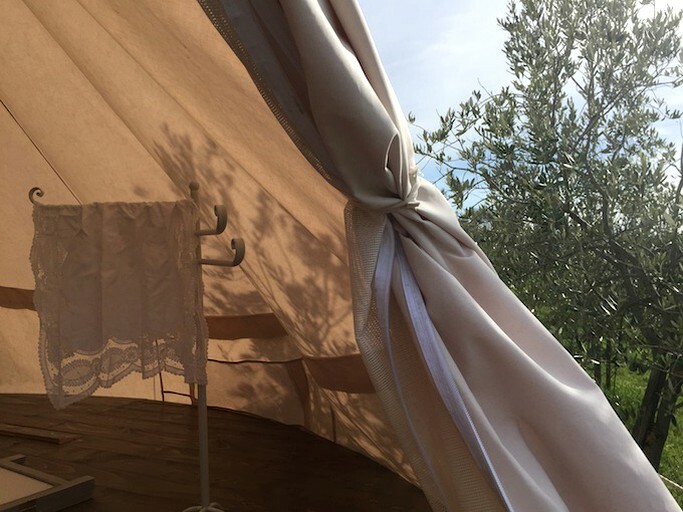 When guests do decide to head out, they can freshen up in the tent’s outside shower, screened from their neighbours, while letting the sun-warmed water run straight into the river, carrying away the lather of the local soap. 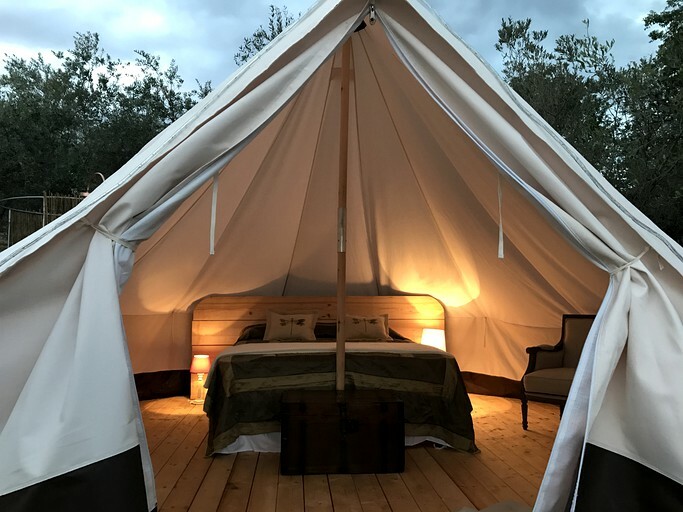 For more traditional bathers, there are showers up at the red-brick casetta, where guests will also find the shared kitchen space, a Weber grill, some tranquil seating spots and the huge outdoor dining table, big enough for the whole camp to share a meal at. 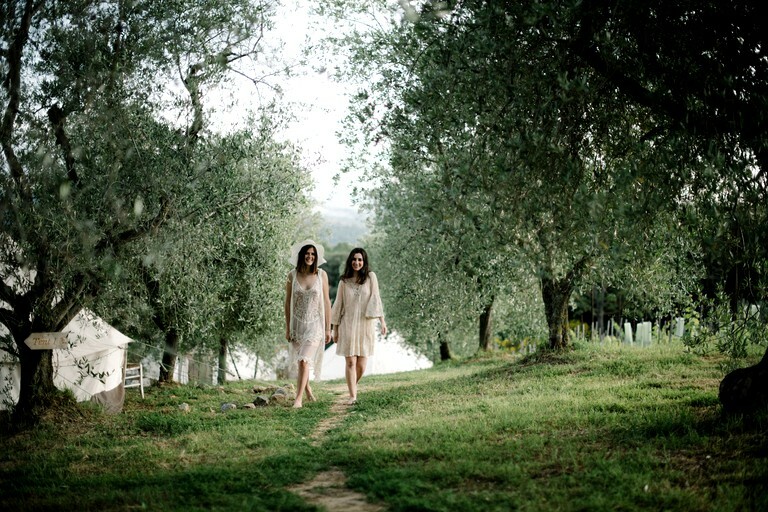 Trattorias and great restaurants are jsut a 5 to 10 minute drive away. 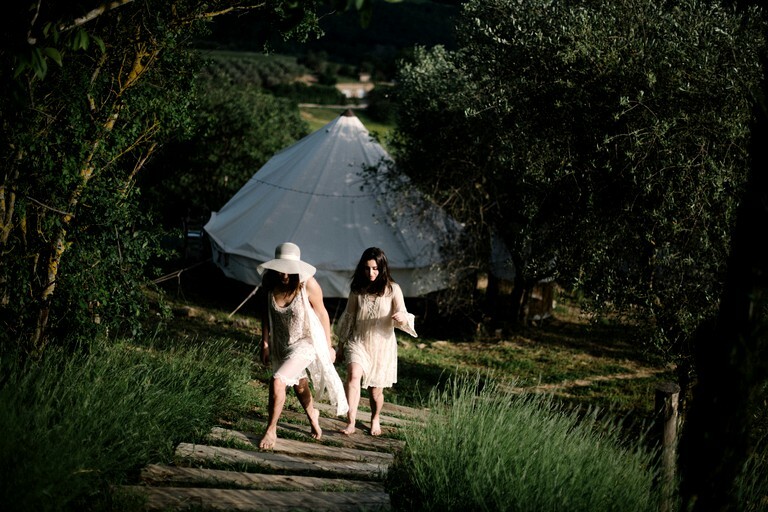 Although the area is very safe, we have a person looking after tents and guests 24/7. 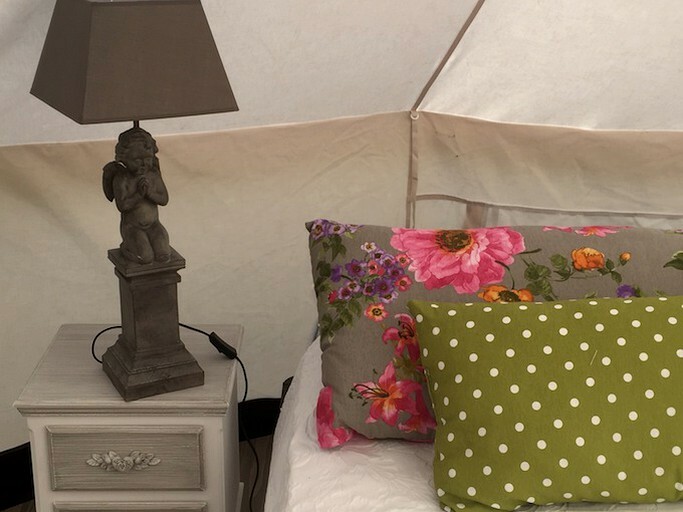 Guests can lock their tent and in each one, there is a chest with a padlock for iPads, laptop or any item you want to keep safe. 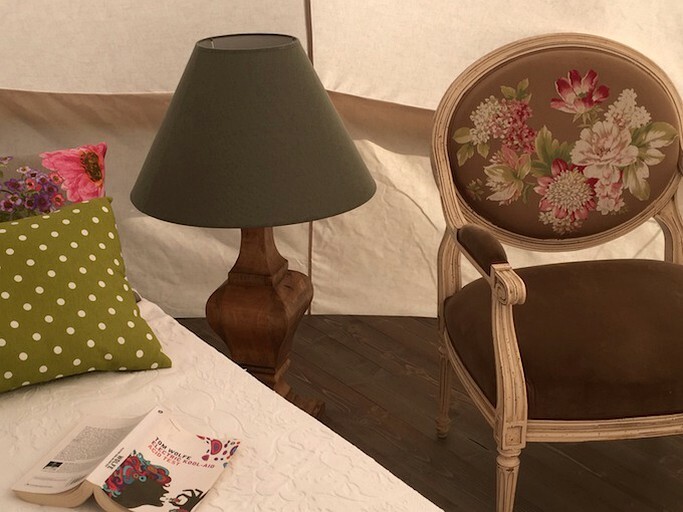 We still suggest not leaving very precious things unattended in the tent. 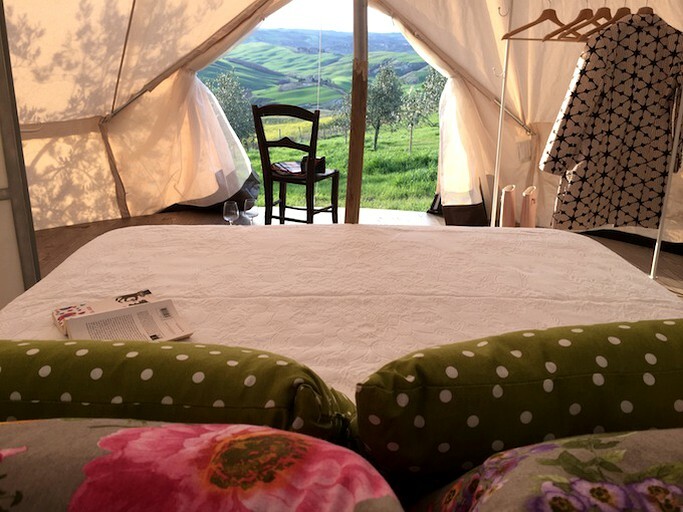 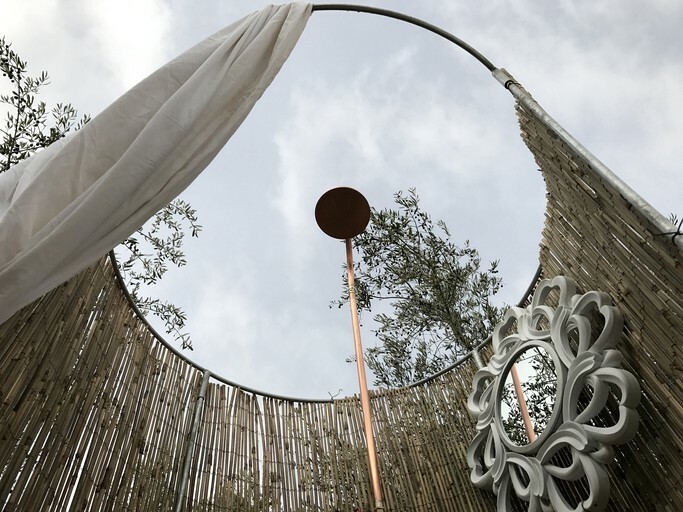 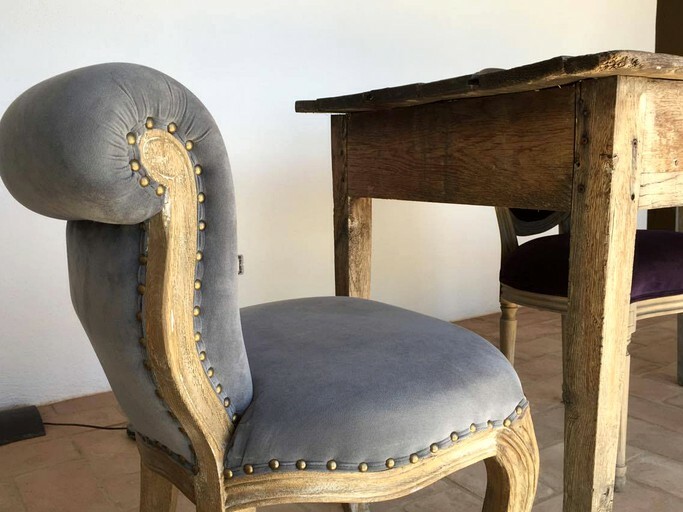 This glamping site is 20 minutes from Montalcino and Pienza, 30 minutes from Montepulciano, 40 minutes from Siena, and an hour and 30 minutes from Florence. 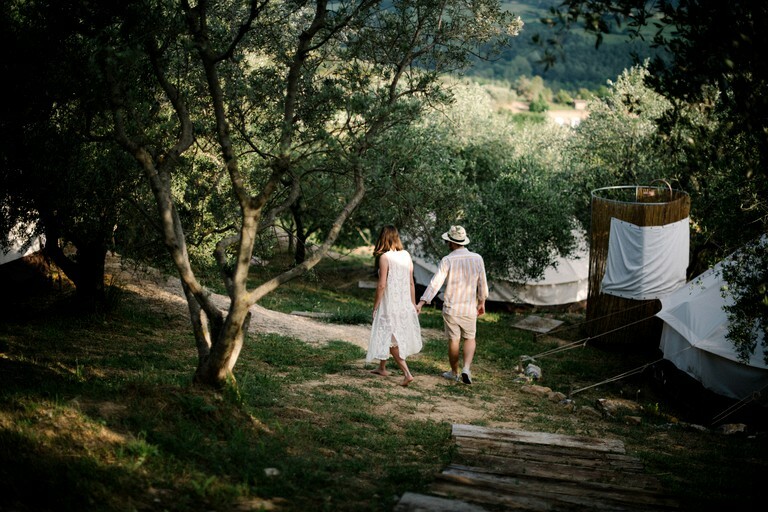 In the surrounding countryside, guests can visit ancient towns, famous wine spots like Montepulciano, and even historic Florence, or just wander down to the neighboring farm and watch the goats. 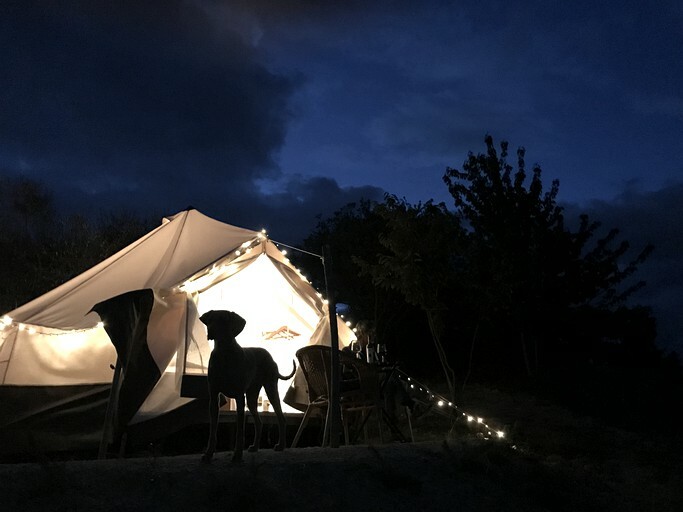 Days of exploration on borrowed bikes or by car blend into cool afternoons on the slopes under the trees and evenings when the fairy lights come on and give the whole camp a glowing, festival feel. 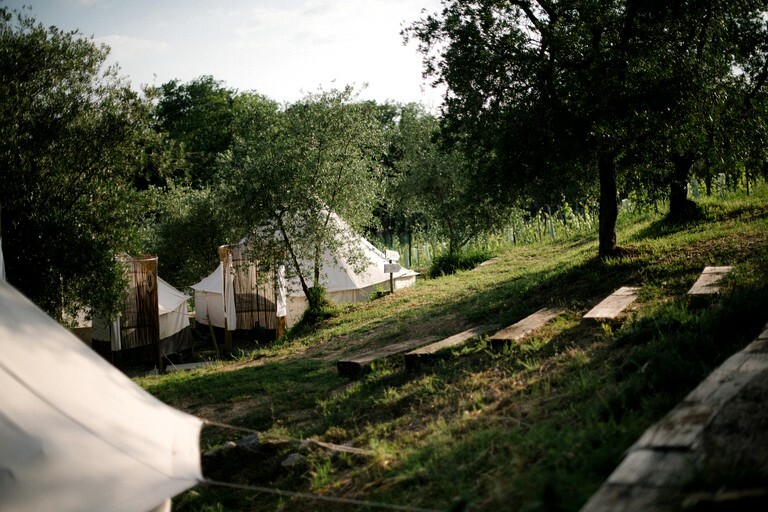 There are plenty of trattorias nearby where guests can try some local flavor, but guests are more than welcome to cook for themselves after a quick raid of the organic vegetable garden, as long as the resident badger hasn’t finished it all off on his nightly visits. 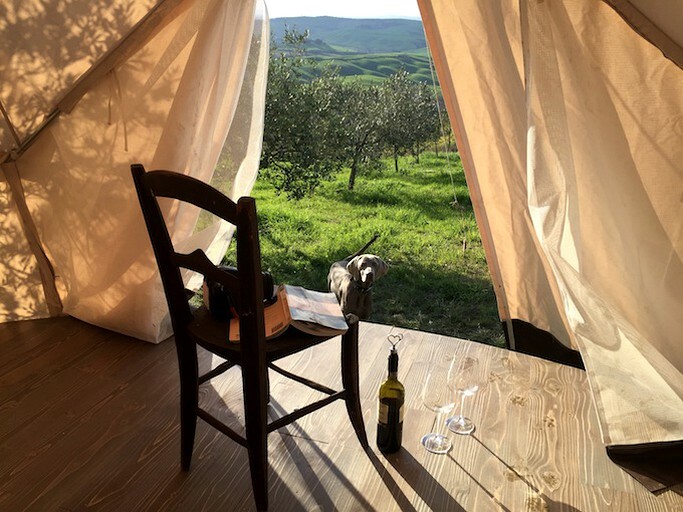 The closest airports are Perugia, which is a 50-minute drive, Florence, which is an hour and 30-minute drive, Pisa, which is a two-hour drive, and Bologna and Rome are a two and a half-hour drive. 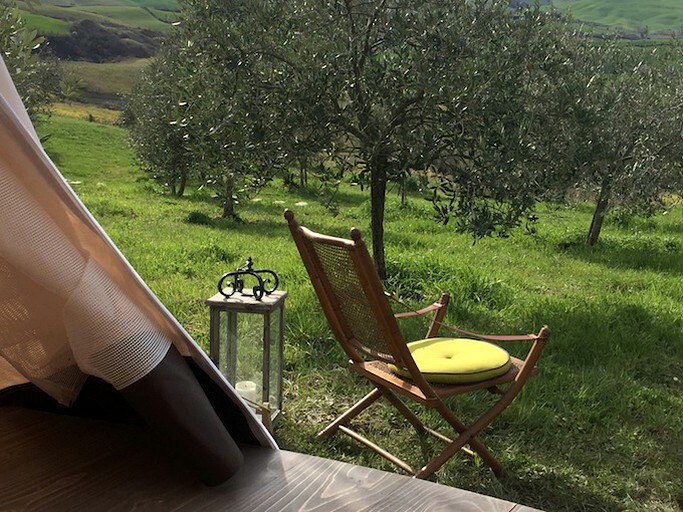 It is a perfect place to enjoy chill moments reading a book in the peaceful and stunning countryside, take walks, have quality time with loved ones, relax by the pool or explore the little medieval villages and vineyards all around. 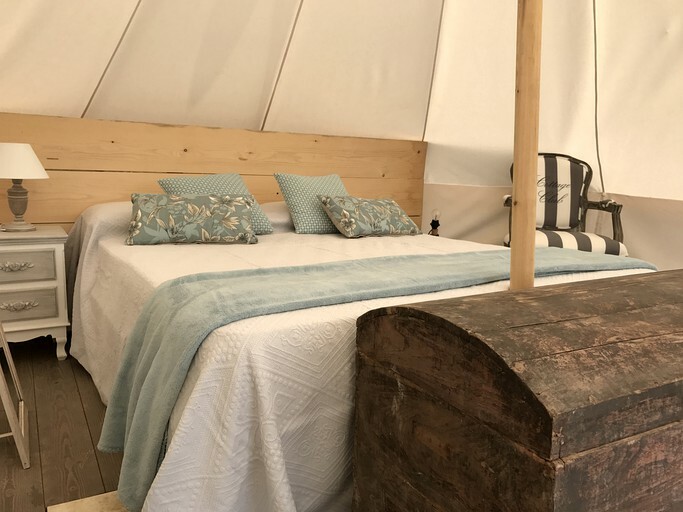 Guests may find themselves reluctant to want to leave this gorgeous property, but there are countless local towns and villages waiting to be explored. 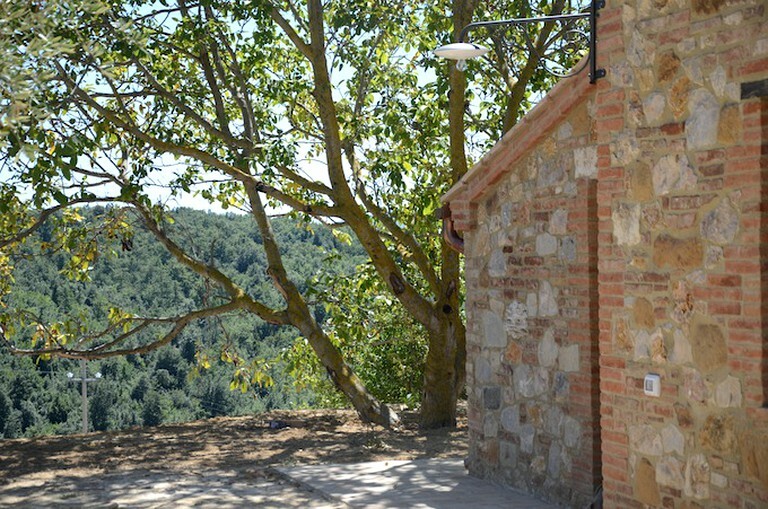 The most significant monumental buildings are located in an old town nearby, including the Cacciaconti Castle, with an imposing cylindrical tower and, with its façade of white and black blocks, the church of Saints. 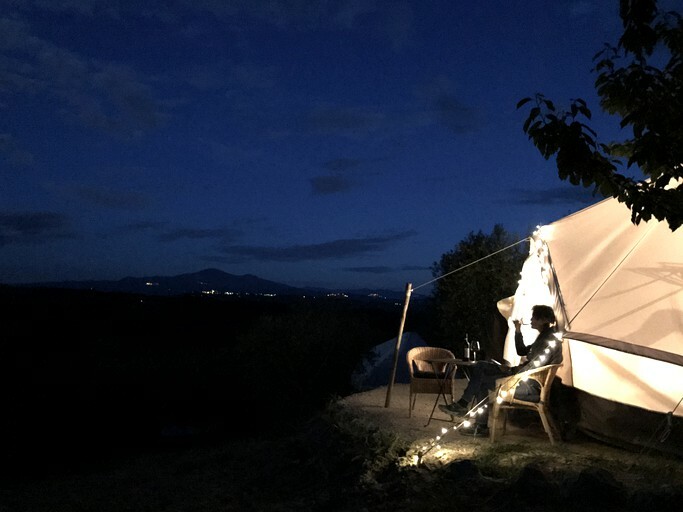 The glamping site is located very close to the medieval villages of Castelmuzio and Petroio, where guests can enjoy soaking up some culture in this breathtaking part of the world. 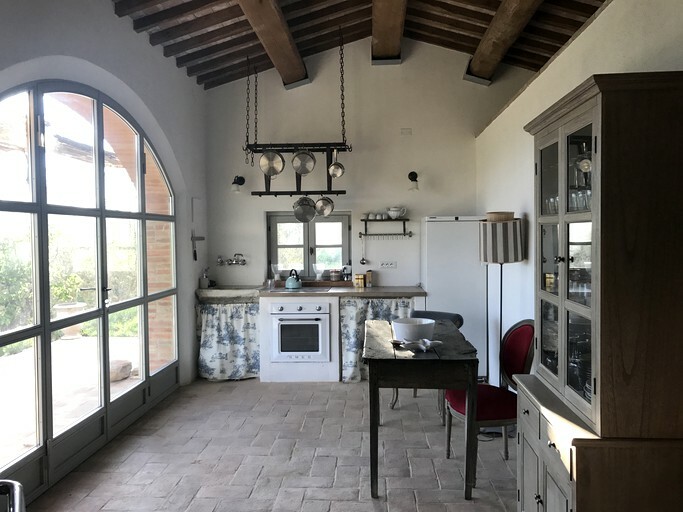 This property is available between May 1 and September 30. 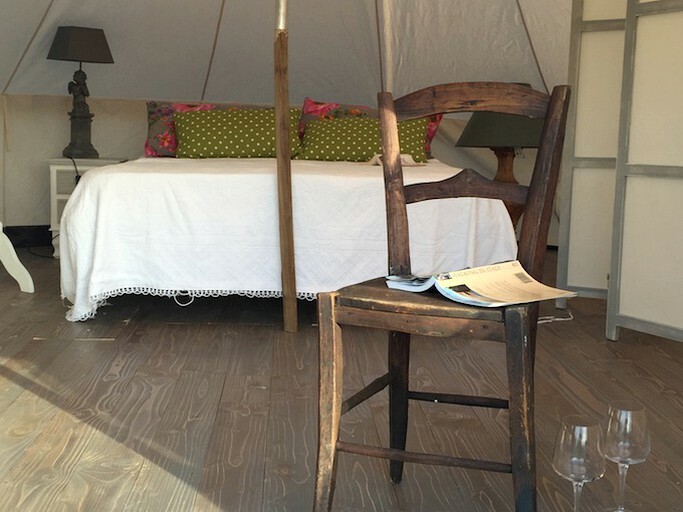 The tents are only rented for week-long stays from Saturday to Saturday.